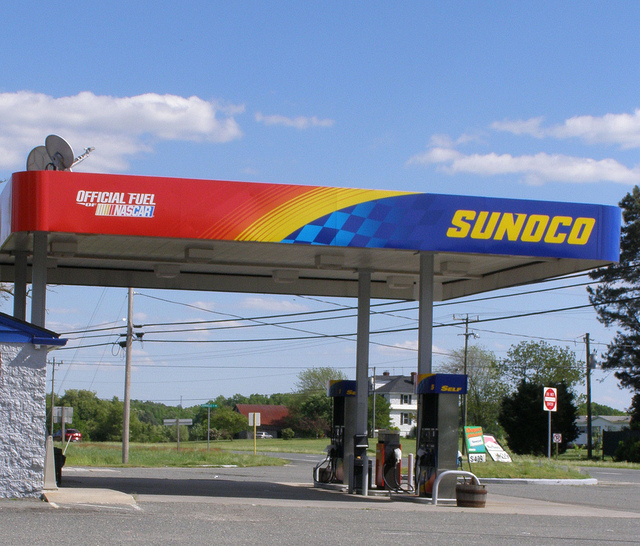 Save At The Pump With These Gas Station Finder Apps! I’m sure all of you have noticed the recent spike in prices at the pump. We know that every penny counts, especially if you are a frequent driver which is why we’ve come up with a list of the top gas station finder apps! Check these out and scroll through the listings of nearby stations until you find the best price available. Prices don’t appear to be changing any time soon (unless they keep going up) so download one of these apps and start saving! GasBuddy – If you’re against paying for a gas app, this is the one for you. GasBuddy has all of the typical components of a gas app, it utilizes the GPS in your smartphone to determine your location and the location of gas stations in your area. It lists the gas prices and also lists any amenities at the station such as bathrooms, pay at pump, and food. You can sort your search results by price or by distance if you’re simply looking for the closest station. Once you select the station you want to visit, you can get directions to the gas station via the iOS’s built-in Maps app. Users can create accounts with this app and update prices and amenities of the gas stations in the area. This is a great resource, however, updates are not always timely or accurate and sometimes nearby gas stations are missing from the list all together. SmartFuel – This is one of the best gas station finder apps out there, IF you are willing to pay. You do get a free 30 day trial with this app, but after the 30 days is up you need to subscribe to the service, which ranges from $4.99 for 6 months, to $14.99 for 24 months. While the price can be a turn off, if you subscribe for 24 months that only costs about 62 cents per month. If you’re a frequent driver you will likely save more than that by using the app anyway! Reviews describe this app as being highly accurate, and drivers can even bookmark their routes to make the search process easier. The listings even have the prices for all types of gas at the station, whether it be regular, mid-grade, premium unleaded, diesel, or E85 ethanol. If you’re willing to pay, this app could save you big bucks in the long run. Fuel Finder – Fuel Finder has the same features mentioned in the apps above; nearby stations based on GPS, directions to these gas stations, and pricing of course. Nearby stations are displayed in a list or as nearby points on a map, and you can search up to 10 miles away. Fuel Finder does have a very unique feature called “On Fumes” which really sets it apart from other apps. This feature is something you can utilize when you’re running extremely low on gas. You simply tap the “On Fumes” button and it will provide you with directions to the nearest gas station regardless of price, and also provides a directory with phone numbers to helpful services such as AAA and insurance company help lines. While you don’t have to subscribe, you do have to pay a one time fee of $2.99 to download the app. While it does have occasional errors and sometimes fails to list certain gas stations it is typically reliable and the “On Fumes” feature is something you won’t find in other apps. RoadAhead – Not only does this app provide you with listings for the nearest gas stations sorted by price, but it also lists nearby hotels, rest stops, and restaurants! If you’re on a long drive, this app will definitely come in handy if you’re looking for a snack or need to use the restroom. The app typically relies on GPS to locate you, however if you can’t get a signal you can select the state you’re in, the highway you’re on, and the next exit. Some complaints about this app are that the GPS sometimes fails and there are occasional crashes. If you can deal with that, then this app is a great resource whether you are driving cross country or just on a day trip to the beach. The best part? It’s free! Once you decide which app is right for you, download it and hit the road! All of these apps will help you find the nearest gas station, or you can sort through them by price. Whichever one you choose, you will definitely be thankful you have it when you need to fill up!